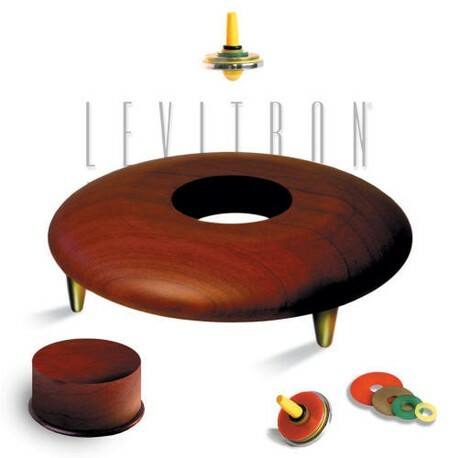 Cherrywood Levitron for the distinguished people. The cherry wood unit is one of our favorite toys. High-tech design uses adjustable legs for easy leveling. Incorporates the most powerful rare earth magnets available! Unique base design amazes onlookers as the high-flying top levitates mysteriously above the opening in the center.